The first of the special edition Star Trek: The Official Starships Collection is a lot closer to release than you might think. In fact, it's coming on November 28th 2013 and it's focusing on Deep Space Nine. This is a little earlier than we were expecting and will be out on the same day as Issue Eight, USS Excelsior. This could mean parting with some serious cash on that day as we can also confirm that the first of the specials will be priced at £18.99 (wow - that's blown my budget) off the shelf and £17.99 for subscribers. Thanks to our friends at Eaglemoss we have a couple of great images of the space station for our readers and it looks awesome. The detail really makes her stand out and that could just push me into buying the first of these additional issues. As we always say, we would prefer to see the end result before drawing any conclusions as to just how good the final model is but it's definitely a date we're marking on the SKoST calendar. As well as the model shots, we've got the final version of the cover for the magazine to show you into the bargain. It's a nice shot and better than previous interpretations we've seen. Just one question, Eaglemoss - what's the second special going to look at?! Things seem to be going extremely well with this series but there are a couple of bits that might be worth considering - updating the website now we're six issues in to give a few hints of what's ahead. Also the local stockist search tool is not accurate at all. The top four places close to home when I drop my postcode on don;t stock the magazine. That's a big shame. Anyway...just a couple of observations there. The Star Trek Starships team have also been working hard on their Facebook page with the #StarTrekMoments competition. The first week's challennge - to recreate a moment from The Original Series episode The Enemy Within is open until October 28th and can be found here. There's a whole load of prizes to be won including subscriptions to the collection, the USS Enterprise technical manual and posters. 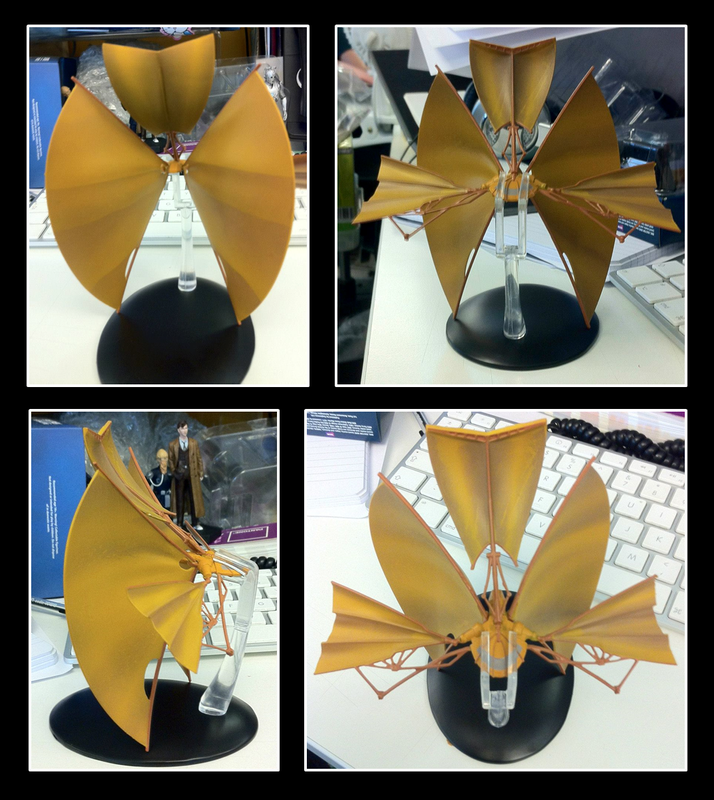 As an additional pic, the Facebook team also dropped a couple of shots of the Bajoran Solar Sailor prototype out there. 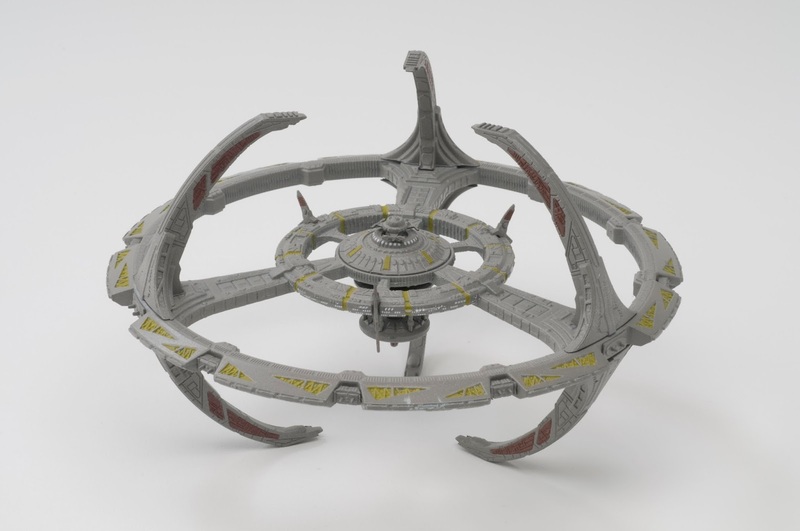 If you'll recall from the preview page that's hidden deep in the Eaglemoss website it's one of the few where there isn't an image of the ship in question. 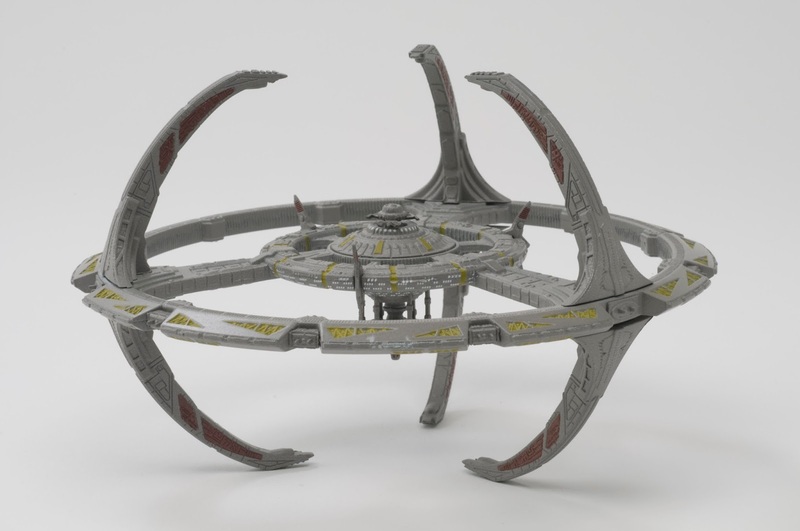 From memory it was a totally CGI creation for Explorers in Deep Space Nine (full circle blog piece here!) and looks very, very different to the rest of the collection. I've included the four shots below for reference if you missed them. The fifth edition of the Star Trek: The Official Starships Collection is available now and you can find out more by visiting the official website. Issue six, USS Voyager is out and here's our review. Some Kind of Star Trek is now available on Facebook - why not like us there for some extra pics, questions and discussion? Thanks also to Eaglemoss for their assistance in the production of this blog article.